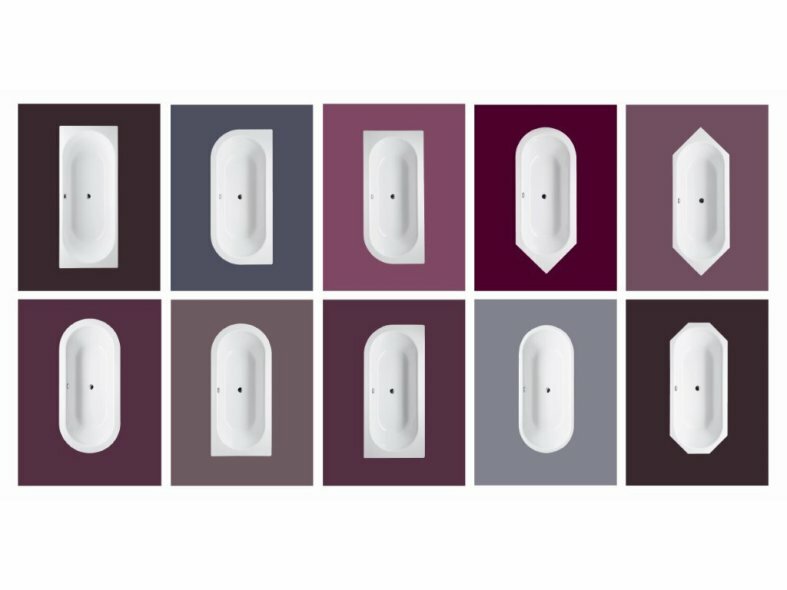 The BetteStarlet range of enamelled steel baths from German bathroom manufacturer, Bette, offers a stylish, double-ended bathing option for almost any bathroom, thanks to the huge range of styles and sizes available. There are ten built-in bath styles available, as well as a freestanding bath, which is also available in versions designed to be used against a wall or into a corner. All are finished with Bette's BetteGlaze enamel which is durable, hygienic, easy to clean and has a 30 year guarantee. The interior of the BetteStarlet baths is stylishly symmetrical, with comfortable back profiles at both ends and a centrally positioned drain. The 10 shape options for the built-in baths include a standard rectangular, available in 11 sizes, two oval versions and a wide range of other styles, including those with a combination of straight and rounded edges which are designed to be used against a wall or into a corner. In total there are 41 style or size options in the built-in BetteStarlet range. For those wanting a luxury freestanding bath, there are also a range of options in the BetteStarlet range. The BetteStarlet Oval Silhouette bath has two slanted back-rests for comfortable bathing for two. It comes in one piece and is created from high-grade steel that has been expertly enamelled for a smooth, joint-free finish. The BetteStarlet Oval Silhouette is available in four dimensions, including a new shorter 150 x 80 x 42cm version, which makes the luxury of a freestanding bath possible in smaller bathrooms. 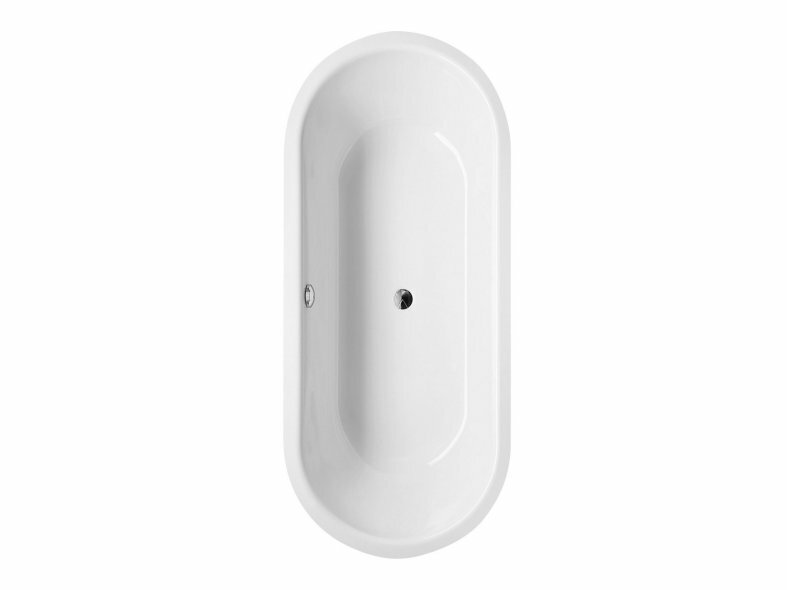 For those wanting a larger freestanding bath, lengths of 165 to 185cm are also available. In addition to white, the BetteStarlet Oval Silhouette is also available in an eye-catching two-colour option. With the 'Bicolour' version it can be selected with either a black or a violet exterior and a white interior, with a perfect meeting of the two colours on the rim. The BetteStarlet range also offers a further option for those wanting the elegance of a freestanding bath in a smaller bathroom or in room where the design requires the bath to be against a wall or into a corner. The BetteStarlet I, IV and V Silhouette baths also feature two slanted back rests, are joint-free and come in one piece. They feature a combination of straight and curved edges so that they can be positioned against a wall or into a corner with no awkward gap. Each shape option is available in three sizes.